Smart Nora , Contact-free Effective Snore Solution, Stop Snoring, Works with any pillow. Free Shipping Included! Smart Nora Anti Snoring Solution, Contact-free Effective Snoring Solution, Stop Snoring, Works with any pillow. by Smart Nora at Blood for Sure. MPN: 001NORA. Hurry! Limited time offer. Offer valid only while supplies last. View More In Sleep & Snoring. ✔ CONTACT-FREE AND COMFORTABLE. - Reduces your snoring without compromising your comfort. Invented by a snorer, Smart Nora doesn't sacrifice the sleep of the snorer or their partner after the first few nights. ✔ KEEP YOUR FAVORITE PILLOW, SLEEP IN ANY POSITION. - Smart Nora works with soft, firm, down, memory foam, or any other pillow on the market. 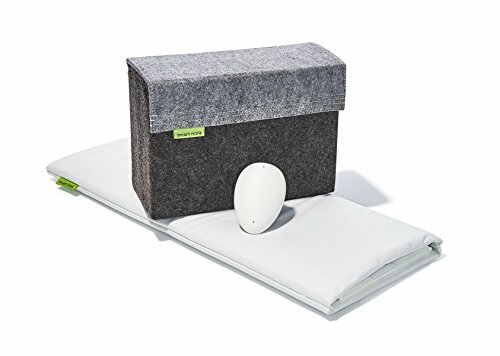 The unique design allows you to sleep on your side, back or stomach. ✔ LOVED BY THOUSANDS OF COUPLES. - Our solution has helped more than 30,000 couples in United States and around the world to sleep peacefully in the same bedroom. ✔ CUSTOMIZABLE TO YOUR BEDROOM. - Adjust sensitivity level of the microphone, amount of motion in your pillow and the 30-minute delay, to find your optimal setting. For best results, during the first two weeks customize Smart Nora to your bedroom environment and use the overhead mount. If you have any questions about this product by Smart Nora, contact us by completing and submitting the form below. If you are looking for a specif part number, please include it with your message.